Last month I left EyeEm, the company and community that I helped build since the day we launched 5 years ago. It’s been an incredible journey. Before moving on to new adventures I thought I’d share some of the things I learned from building a photo community together with a group of very nice people. On a sunny day in July 2011 I entered a small backyard office in Berlin Mitte to meet Lorenz and Flo, two of EyeEm’s co-founders. I was fairly new in town, had just left my job at Lomography and was curious to connect with people sharing my passion for photography. Once I sat down with my coffee in hand, a whirlwind of information came towards me: Flo and Lorenz frantically talked about EyeEm’s revolutionary image tagging technology, their upcoming app and the fledgling scene of so-called mobile photographers that gathered around their early exhibitions in Berlin and New York. 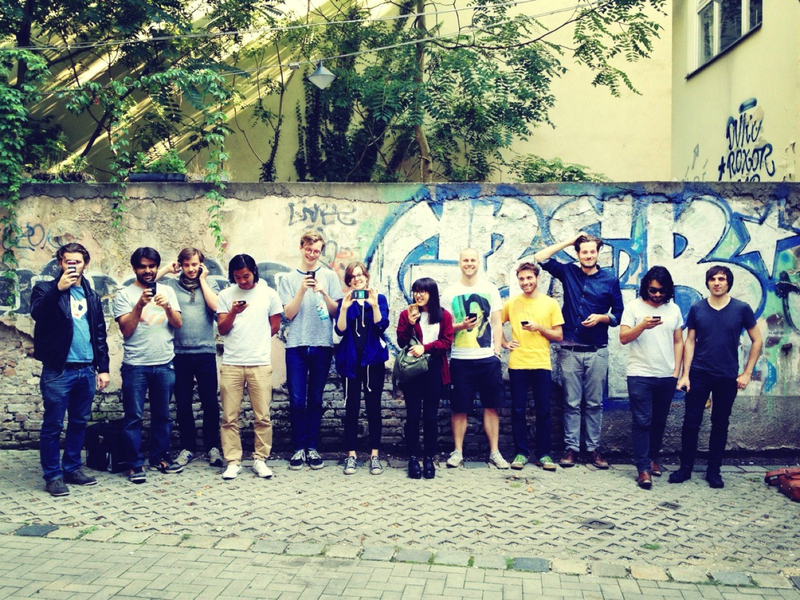 EyeEm had also just received seed funding and were looking for someone to take care of its community and communication. Having admittedly understood only half of what they said, I thought why not give it a try? I had spent the last years with people crazy about analog cameras from Russia, so moving on to smartphones from China didn’t seem too big of a deal. 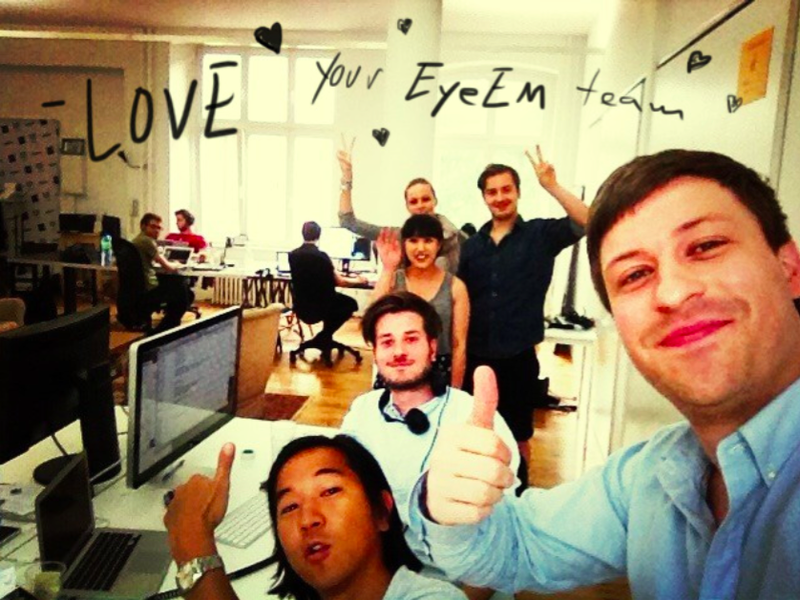 On August 4, 2011 we launched EyeEm 1.0. Launching meant: pressing a button to make the app available on the App Store and Google Play, hoping that nothing breaks and frantically clicking the Refresh button on tech news sites to see when, and if, an article about us came out. And then it came. Our Tweetdecks went crazy: hundreds of people re-tweeted the article from GigaOm, mentions, comments, the world was clearly shaking up in excitement. Can you believe it? We were going to have millions of downloads! Successful launch, done. Until the next news article dropped and the same people started retweeting this one. And the next one. And so forth. It didn’t take us long to understand that an article on a popular tech news site and a few retweets won’t take you far in terms of downloads or traction. The real work was only about to start. We were 7 people sitting in a shared studio near Rosenthaler Platz in Berlin. We had the first version of our app out there, a million ideas and no plan how to scale it. How do people find out about our app? Should we invest in advertising? Does PR make any sense? How can we boost our app store ratings? And why does nobody answer the 100+ partnership request emails I send every day? All questions any early-stage startup is facing and that provides its team with endless sleepless nights. Yet there was one thing that was different with EyeEm: people kept coming back to use the app. 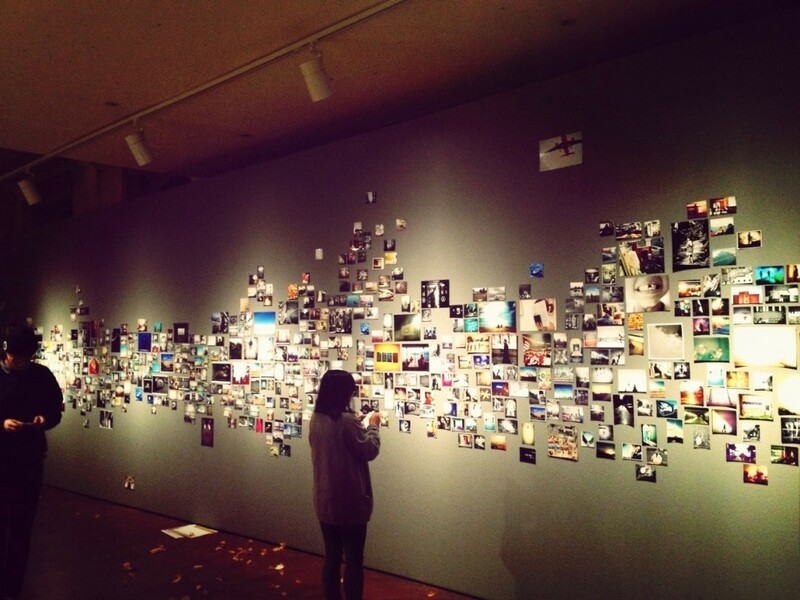 The same people that had their mobile photos exhibited in 2010 were still there in 2011. People from all over the world. The early supporters. The so-called mobile photographers. They knew the app wasn’t great yet. But they still kept sharing, commenting, liking every day. Why? 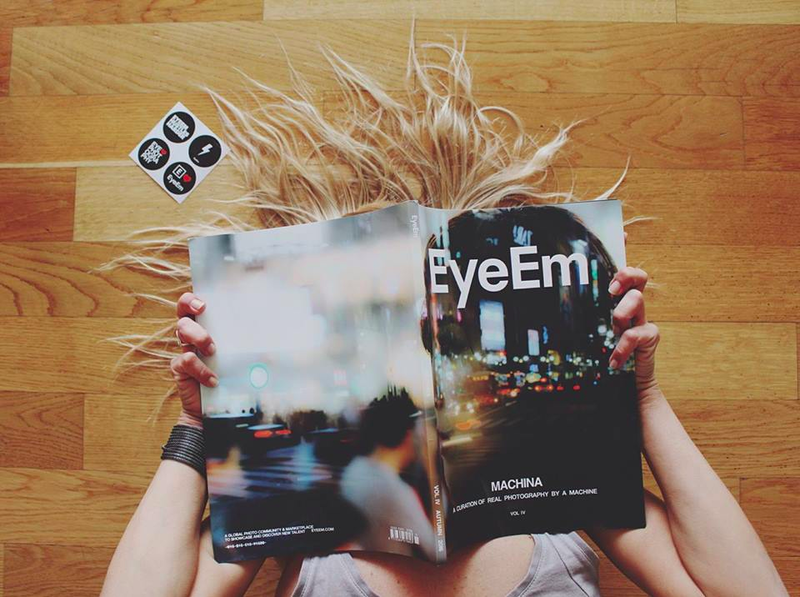 Because they believed in EyeEm’s vision. In the vision the founders communicated from the first day; to give a platform to a new movement in photography. This is what kept people going and what they wanted to be part of, no matter how often our app crashed. EyeEm was the place where mobile photographers felt at home. A short video we did in 2013 that reflects the community’s shared passion for photography. Many of EyeEm’s early users who were already part of the first exhibition in 2010 contributed. Witnessing that first hand, I knew we were onto something. Yet, the term “community” wasn’t something you would include in your business plan. You needed to have revolutionary technology or data of millions of users to convince investors that you were about to disrupt an entire industry. But serving a community of a handful enthusiastic mobile photographers? That wouldn’t get you far. And yet it was the only thing we had. I got in touch with our most active community members from Italy, Japan, Indonesia, France, Russia, the USA and had hour-long conversations. Their interviews and photos then got published on our blog. We came up with editorial formats like “24 Pictures in 24 Hours”, a feature where a guest curator curates 24 photos taken in the last 24 hours from our live feed. We had a street art competition and projected the winners on a 30-metres long wall on an empty parking lot in Berlin until the police kicked us out. We started an ambassador program and got 400 applications within one day. The first global EyeEm Meetup then followed and ambassadors in over 40 cities hosted photowalks to connect the local communities and take photos together. We translated the app to 22 languages with the help of community members. We hosted photo exhibitions, masterclasses and hackathons in Berlin, New York, London, Paris, Tokyo, Tunis, Jakarta, Singapore and dozens of other places. It’s safe to say that everything we did to market EyeEm was entirely community-driven, done on a shoestring budget and completely grassroots in the first 3 years. The result? Hard to measure in ROI. We scaled a community and a culture. Something you felt part of and identified with. An experience that not only gave people likes and followers, but often deep emotional value and recognition. In a time where photo sharing became a highly competitive environment and new apps (often backed by millions of VC money) came out almost every week, EyeEm was a place where people had meaningful experiences. On a rainy day in late February 2014 Flo and I sat in a hotel lobby in Tokyo. It was 6pm, we both didn’t sleep much and were looking at my computer screen with tired, yet glaring eyes. “Should I send it?” I asked. “Yes let’s do it.” Out went an email to millions of people that announced “The Market”: a platform where anyone could sell their photos to agencies, brands and publications. We were extremely nervous about sending that email. EyeEm was built on the idea of sharing great, often artistic photography and many of our core members considered themselves as artists. How would they feel about adding a commercial element to the platform? 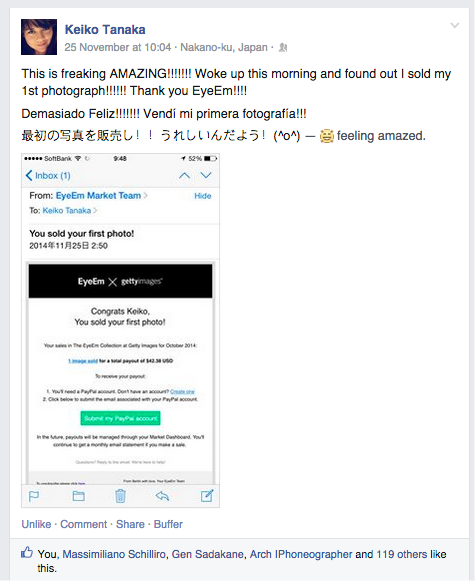 EyeEm’s marketplace had huge potential, but only if our photographers were excited about it. In order for EyeEm to become a sustainable business we needed to lay the ground for the community to take it to the next level. Transparency was key in that process. After Instagram changed its Terms of Service in early 2013, stating that any photo uploaded to the platform may be used for advertising without prior consent, there was a growing concern amongst photographers to retain control over their photos. The only way to move forward for us was to be radically open; we hosted office hours, meetups and group conversations to educate about image usage rights, had one-on-one talks with concerned community members, personally reached out to our most active photographers, provided detailed FAQs and made sure people understood that Market was an opt-in process. You had to give your consent for every single photo to be made available for sale. If you didn’t want to sell your photos we had no right to do so. Far from having a fully developed marketplace or any sales coming in at this stage, people trusted us to do the right thing. The value of this can’t be overstated: it bought us time to shape the product and gave EyeEm a clear advantage over its competitors. With competitors I mean anyone who had the idea to try to monetize the millions of photos we share every day by licensing them to third parties. You didn’t have to be a genius to see the potential in this. Yet so many failed — from well-funded startups to billion dollar stock photography companies— because they either couldn’t build up the supply (= photos) or traction (=engagement) needed to make it really work. 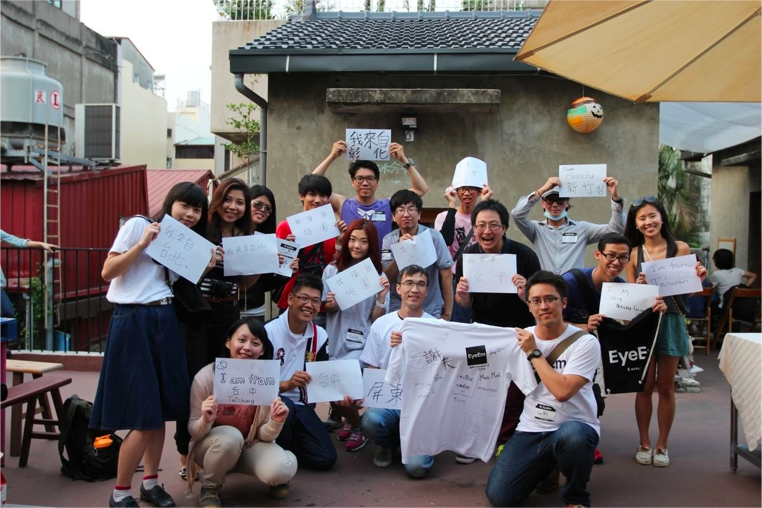 Keiko, a community member from Tokyo, shares her excitement about selling her first photo. This still makes me smile every time. 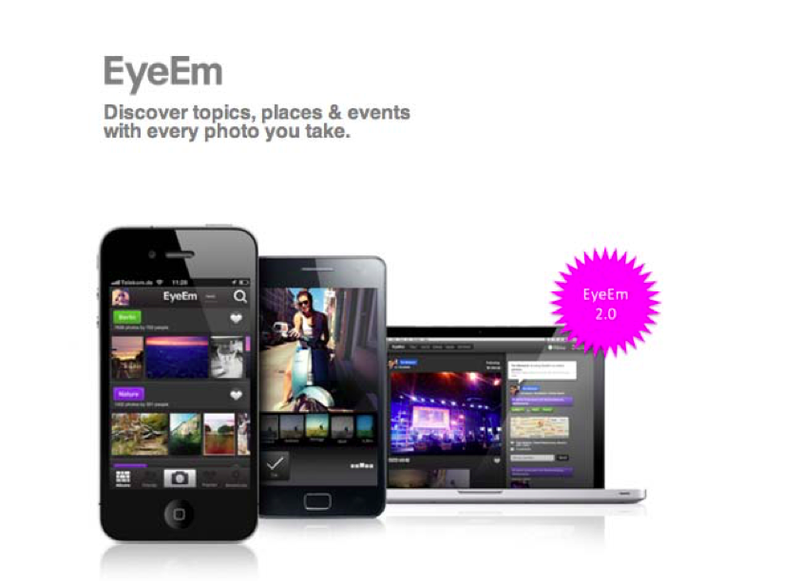 Today EyeEm is the leading platform to license crowd-sourced photography. The community is 18 million strong, tens of thousands of photographers make money by selling the photos they capture every day. Month by month new people sell for the first time and get this incredible feeling of recognition that somebody, somewhere in the world just bought their photo to use it in an article, a presentation or a campaign (look at #EyeEmPaid on Twitter to see how it feels). All major stock photography agencies partner with EyeEm to satisfy the increasing demand of authentic imagery in advertising and media. The EyeEm Awards, the photo competition that started EyeEm in 2010, became the world’s biggest photography competition with more than 280.000 submissions in 2016. EyeEm Missions, weekly competitions based on diverse themes and topics, became the leading tool for crowd-sourcing photography. Fortune Global 500 brands use it to receive up to 30,000 submissions per week from creatives around the world. Why am I bragging about all this? Because I believe that communities are key to building incredibly successful businesses today. EyeEm is just one example of how it can be done. Be the best you can be, every day. That’s a no-brainer, but seriously: nobody wants to hear from you when you get started. The only thing that makes a difference is to consistently prove yourself. For EyeEm these were the guerrilla exhibitions, publications, hackathons, masterclasses, partnerships and occasional parties we initiated over the years; each of those added to our story and shared our vision, letting people become part of it. The more you create the more people will trust and believe you. Have a clear vision and let others participate in it. Open up so people can contribute to your project rather than just being fans or followers. Make sure that with every new marketing campaign or product feature there’s a way for people to participate in it. Manage expectations. Always be personable and relatable. Never forget that you deal with real human beings that put a lot of effort into supporting your brand. Don’t fake it because people will know. Back it up with world class customer support. Have witty and creative copywriting. Excel at storytelling and social media management. Be great at all fronts, especially those where people interact with you directly. And listen to your users. They’re always right. The team setting up an EyeEm exhibition at C/O Berlin..
A thank you card to EyeEm Ambassadors, featuring Flo, Gen, Lorenz, Stephanie and myself in the back. 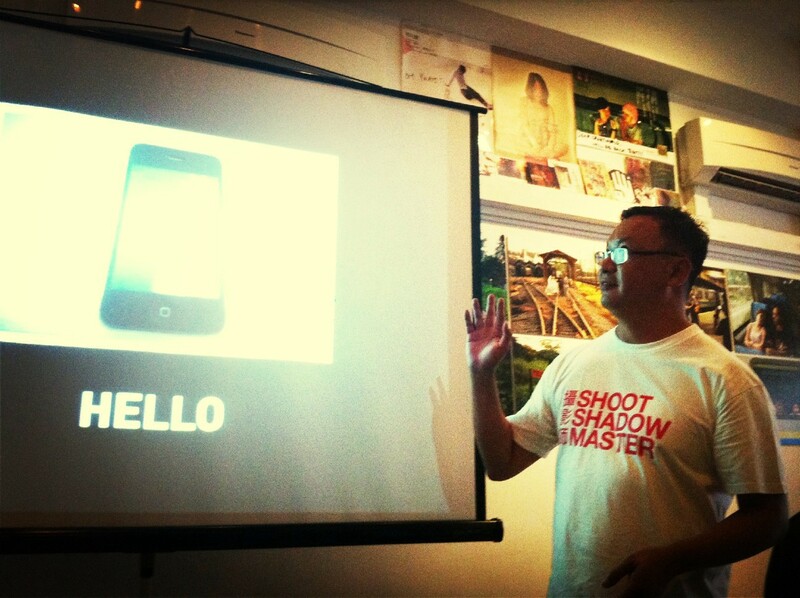 Aik Beng Chia, one of EyeEm’s first users, holding a photography masterclass in Singapore. After 10 years of building brands around highly engaged communities I’m curious to further explore what makes them thrive. How do communities shape what we value and identify with? What’s their impact on how companies, organisations and brands operate today? And how can we leverage communities to create a better and brighter future for all of us? The project is still very much in beta so I can’t reveal more at this point. If you’re curious about it, I’d love to hear from you. Just drop me a line via severin (dot) matusek @ gmail.com or connect with me via Facebook or Twitter to stay in the loop. Besides that, I’ll be out riding bikes with my friendly little cycling club called Friends of Velocity, drinking coffee and enjoying some time off to read and write. I’ll miss EyeEm. It’s a unique company that engraved community, openness and collaborative culture deep in its DNA. I can’t thank enough the incredible team of people I had the pleasure to work with and the founders who are devoted as ever to make EyeEm thrive. Last but not least, an even bigger thank you goes out to all the people near and far who have been part of EyeEm’s story and contributed their invaluable time and energy to making it a success. I’ve learned a lot from you. 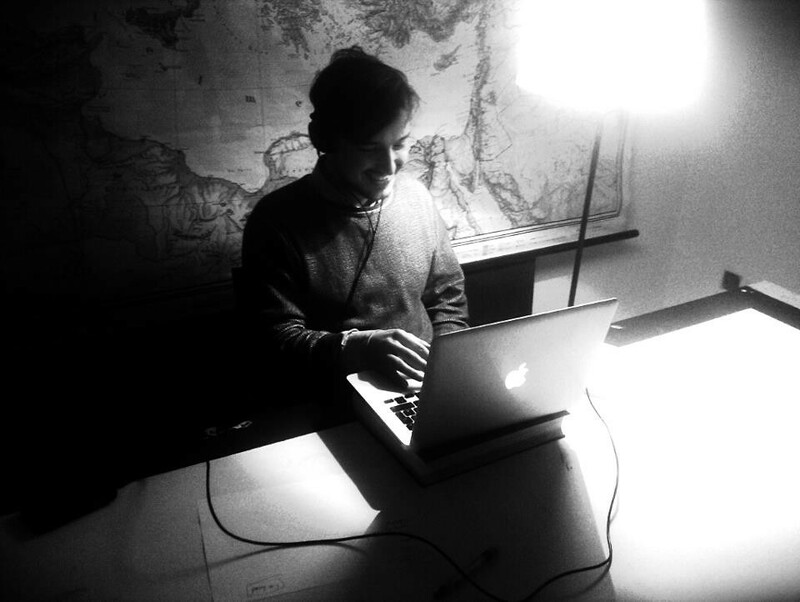 Co-founder @co_matter. Into communities, communication & bicyles.